An off-duty New York City corrections officer is lucky to be alive following a spectacular crash on Route 301 at Gipsy Trail Road in Carmel. The resident of Hollis, Queens, was headed eastbound on a Kawasaki motorcycle last Saturday afternoon around… Please login below or purchase a subscription to the Putnam County Courier to access this content. Carmel VAC EMTs assist the injured cyclist from the heavily wooded area. He narrowly, and miraculously, was unscathed. The drone of speeding motorcycles is a common sound for residents living off Route 301 as it traverses from Carmel to Cold Spring. … Please login below or purchase a subscription to the Putnam County Courier to access this content. 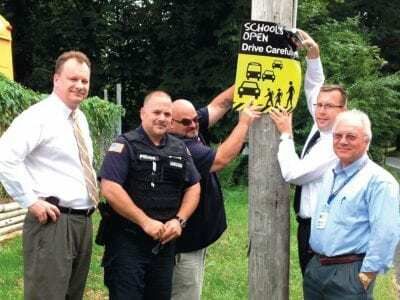 Carmel Police Officer Ernie Iarussi is joined by members of the Mahopac School District administration by installing new Back to School signs reminding motorists to exercise extreme caution on area roads now that children are back in class. 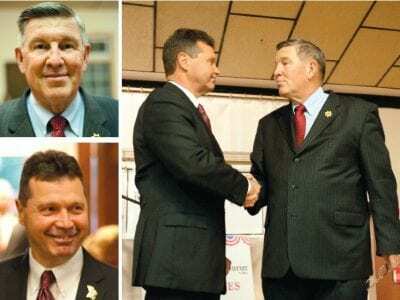 The 2013-… Please login below or purchase a subscription to the Putnam County Courier to access this content. 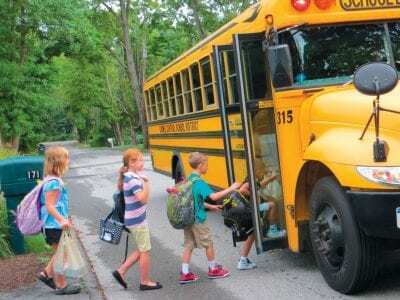 Children board their bus in Carmel Tuesday morning as the 2013-2014 school year begins. Below: Monica Marsich waves good-bye as the bus pulls away. Tears? No! Smiles were more like it at bus stops throughout the Brewster and Carmel School Districts T… Please login below or purchase a subscription to the Putnam County Courier to access this content. With family and friends looking on, stylist Ellen Albano combs Mackenzie’s beautiful 12 inch long locks. 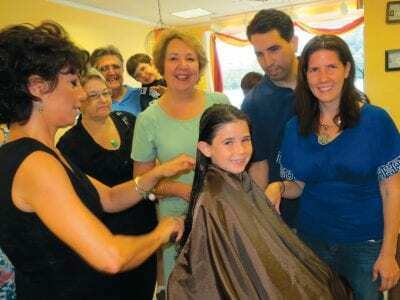 Salon 782 in Carmel was hopping early Saturday when a dozen members of the Courtein family joined seven year old Mackenzie Courtein for her… Please login below or purchase a subscription to the Putnam County Courier to access this content. You are holding the redesigned PUTNAM COUNTY COURIER, the first issue to appear in our new size. In addition to moving to a size that is easier to handle, we’ve redesigned key aspects of the paper for high-impact visual reference. The biggest … Please login below or purchase a subscription to the Putnam County Courier to access this content. Above:Karen Shields assists Monika and Rebecca Lazar and Aubrianna McDermott, all from Mahopac, with their challah bread at Temple Beth Shalom. 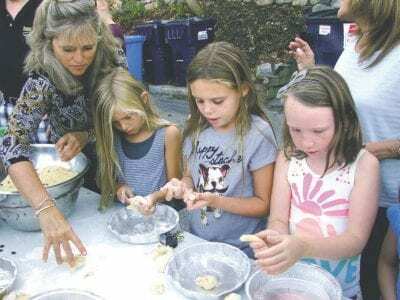 Photo by Eytan Hammerman Jews throughout Putnam County are celebrating the High Holy Days with the observa… Please login below or purchase a subscription to the Putnam County Courier to access this content. 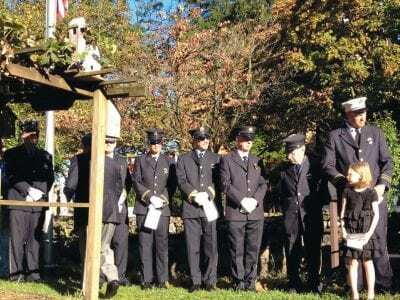 Ceremonies in Garrison (shown above), Putnam Valley and Carmel will mark 9/11 this year. The tradition will continue in Carmel and Putnam Valley on September 11, and Garrison Sept. 8. Brief and solemn services are planned for 8 p.m. at the Whipple Fo… Please login below or purchase a subscription to the Putnam County Courier to access this content. A new session of computer classes will be offered this fall in the Public Computer Center at Mahopac Public Library. Community members interested in learning new skills or enhancing existing ones are welcome to sign-up for a computer class or onetoo… Please login below or purchase a subscription to the Putnam County Courier to access this content.